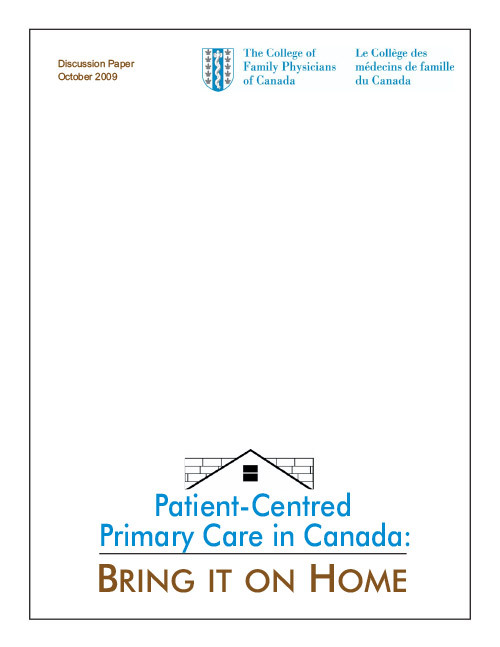 In 2009, the College of Family Physicians of Canada released the discussion paper entitled Bring It on Home. In 2009, the College of Family Physicians of Canada released the discussion paper entitled Bring It on Home. It provides history on the establishment of and global shift towards patient-centred primary care and recommends the introduction of the medical home concept for the people of Canada. The paper describes the strengths of medical home models elsewhere in the world and the primary care renewal experiences unfolding across Canada up until 2009.